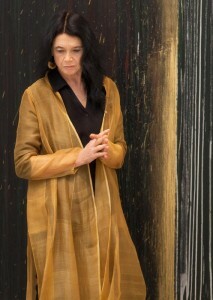 Anne Waldman | The official website of Anne Waldman, internationally recognized and acclaimed poet. She was one of the founders and directors of The Poetry Project at St. Marks’s Church In-the-Bowery, working there for twelve years. She also co-founded with Allen Ginsberg and Diane diPrima the celebrated Jack Kerouac School of Disembodied Poetics at Naropa University, the first Buddhist inspired University in the western hemisphere, in 1974. Ginsberg has called Waldman his “spiritual wife.” She is a Distinguished Professor of Poetics at Naropa and continues to work to preserve the school’s substantial literary/oral archive and curate the celebrated Summer Writing Program. She has edited and co-edited many collections based on the holdings of the Kerouac School including Civil Disobediences, Beats at Naropa, and Cross Worlds: Transcultural Poetics. She is also the editor of Nice to See You, an homage to poet Ted Berrigan, The Beat Book, and co-editor of The Angel Hair Anthology. She has been a fellow at the Rockefeller Foundation’s Bellagio Center, a fellow at the Civitella Ranieri Foundation in Umbria, and has held the Emily Harvey residency in Venice. She has worked at the Institute of American Indian Arts in Santa Fe and at the Women’s Christian College in Tokyo, She has presented her work at conferences and festivals around the world, most recently in Jaipur, Bratislava, Wuhan, Beijing, Berlin, Nicaragua, Prague, Kerala, Mumbai, Calcutta, Marrakech, and Madrid. Her work has been translated into numerous languages. She is curating the Casa del Lago “Poesia en Voz Altro 17” in Mexico City in the Spring of 2017. She was active in Occupy Art, an offshoot of Occupy Wall Street in NYC, and has recently been involved in projects around the theme of Symbiosis, which studies the interaction between two or more different biological species. “The living together of unlike organisms,” a challenge for our times. How to include the cyborg? How to insure / take better care of the “human” in relation. Fight the pipelines and induced hydraulic fracturing. She advocates and works for more arts in education, and in prisons.